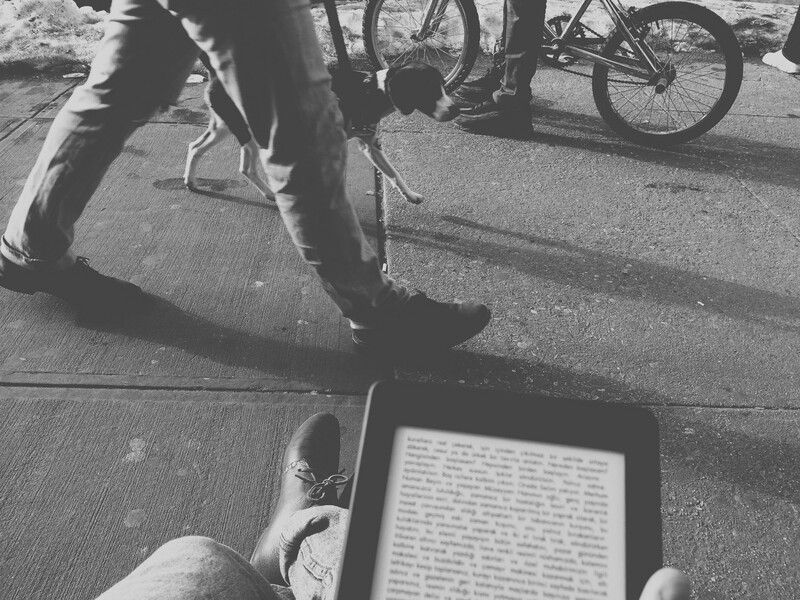 How to use your Kindle more effective to cultivate a reading habit? Reading a book is always considered as an intellectual habit. Scientist have proven that reading improve the cognitive abilities of our brain, including slowing down the rate of decline of your memory over age. What about “Loving Kindle”? It totally depends on your tastes and lifestyle. You could look for the ambiance of print books. You could be a traditionalist and miss the smell and the feel of pages in your hands. Or you can be a selective reader. 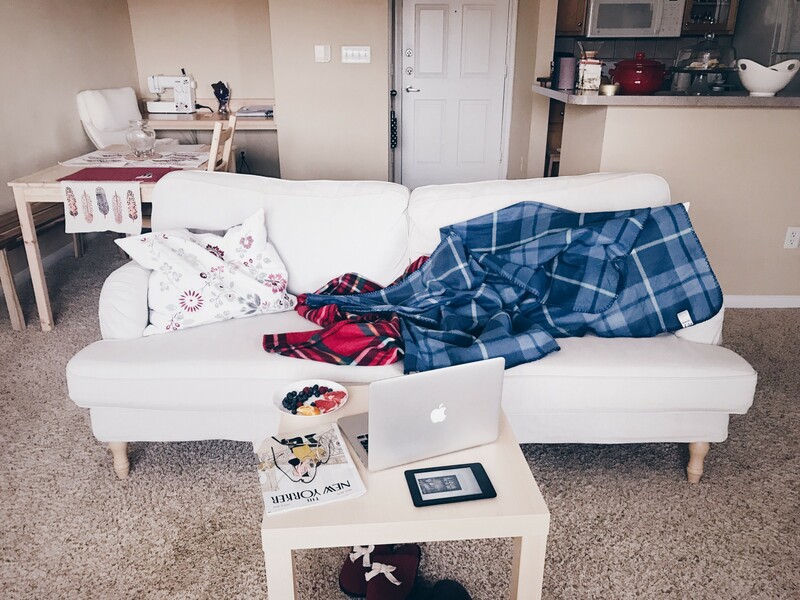 Or you can be a voracious bookworm and you could want to be owner of all the books in the world in your apartment instead of borrowing from a library. You could be 55-year-old American Lit Professor. And I have no intention to convince you to buy a Kindle. I will just share my personal relationship with my Kindle and I will try to explain why a Kindle is a worthwhile investment and give the details about using a Kindle. So please let me take you for a ride and at the end, you don’t need to thank me. Warning! 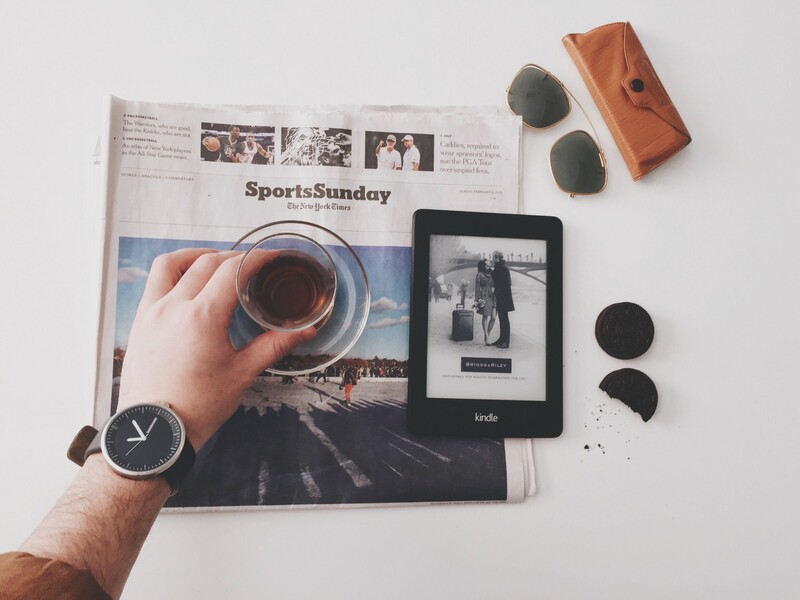 Buy a Kindle only if you’re an avid reader. Only then would you be able to appreciate its features. When I was in Turkey, I used to live in a small apartment. I had a beautiful library. There were already bookshelves lining the walls. I didn’t have room for more printed books. I already had reached my quota of printed books. However, when I decided to move to New York, my library turned into a burden for me. Taking all the books with me would cost tons of money. So, I gave them to my best friend and I suddenly became a lonely person. My bookshelf looks much more beautiful than a Kindle! What better than a cup of coffee and a Kindle to accompany me with? First of all, if you use a Kindle to read something, you can just do reading. Nothing else. There will be no distractions of messages, Instagram or Twitter notifications during your reading period. It is Kindle’s hidden advantage for you. I have a Kindle Paper-white. So I will only talk about my Kindle Paper-white. I paid $120 for the regular one. If you want a life-time global 3G internet for free, you need to pay $190. Important: With 3G model you can download books anywhere in the world where there is a 3G signal. The essential reading experience on both is exactly the same. Bad news: You also need to pay $20 extra, if you don’t want to see ads at lock screen. Kindle is quite aesthetically designed. It’s light and thin and fits easily in the hands. It’s small enough to be carried around easily. My Paperwhite has 9 mm thickness and this is making the Kindle comfortable to grip. So easily that you can read with just one of your hands for a long time. I read on my Kindle for hours, lying on my back, and never once felt uncomfortable. Note: Smart phones are not as big as the Kindle. You should use your smartphone only for e-mails and news or short blog posts as a tool for reading. Let me give you another example about this. Technically you can use your phone as a modem. But if you keep using your phone as a modem for days, your phone will be burnt in a few days with the heat produced. Thus, if you use your smartphone for reading a novel you will destroy your eyes. Only e-readers like Kindle are designed to be nice on your eyes. You won’t have any headaches even if you use it for hours on end. Note: If you have a vision problem and your eye-sight is not good, you can easily change the font-size and column width whenever you want. You can not read a book in the dark or you can not use your iPad under the sun. But you can use your Kindle anytime. The e-ink display is readable even in direct sunlight because of the glare free screen. At night you can use the back-light to read in bed without keeping your wife awake and without straining your eyes. If you are not married, probably you have a roommate. And your roommate sometimes can go to bed early and ask you turn off the lights. If you have a Kindle, you don’t have to move to the hallway to continue your book. Reading with Kindle is utterly soothing. Note: Sometimes, I forget to take my Kindle with me and when I need something to read, I am using the Kindle app on my iPhone. And I don’t have to search for my page or the document. When I connect my Amazon account, Amazon syncs everything for me and I continue on my phone or my computer. It has a battery life measured in weeks, not hours. A kindle lasts up to months so that you don’t need to charge them often. Long battery life is a key advantage for the Kindle. Amazon claims that if you read on half an hour per day with wireless off and if you keep the light setting at 10, a single charge will last up to six weeks, and charges via USB in around four hours. That means battery life will vary based on light and wireless usage and reader. I mentioned above, I am from Turkey. That’s why, I want to read some Turkish literature sometimes. In this case, it is not that easy to find a Turkish book in New York. I can find, but it will take some time and it will cost me a lot of money. On the other hand, if I have a Kindle and when I finish my current book in the middle of the night, and if my mind urges for more… I can just go to online and buy my new Turkish e-book in a minute. Then my Kindle will download my next book in seconds. If you are a heavy reader and prefer reading novel, you’d probably subscribe to Amazon’s Kindle Unlimited. It would be good way to save extra money. Almost all the e-books are comparatively cheaper than paperbacks. I am not saying all the e-books are cheap. I am just saying almost all e-books are cheaper than paperbacks. And also hundreds of literary classics are still available for free in Kindle Store. So, we can say that; when you buy a kindle, you actually buy a bookshelf for yourself. Your books will be safe and never get lost. Your novels will never walk anywhere from your Kindle. By the way, you can set a password, if you don’t want anyone to read your books or articles. Question: Can you find free printed books? Note : You can often download a chapter for free, to try before you buy. 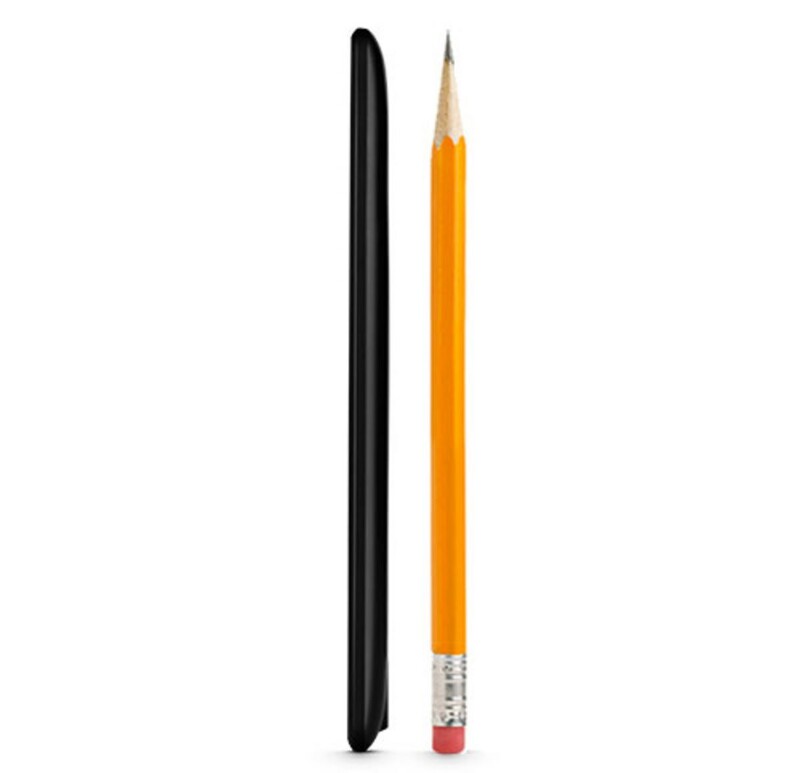 It is very very important that you don’t need a bookmark for Kindle. I can always resume my book from the page I left last time. I am reading multiple books at a time without worrying about reading the same pages twice or skipping some. Furthermore, Kindle is also giving the information that how much time or pages left until you complete the chapter or book. I can also turn the pages like a normal book with a simple touch. You can use your nose while your hands both full. 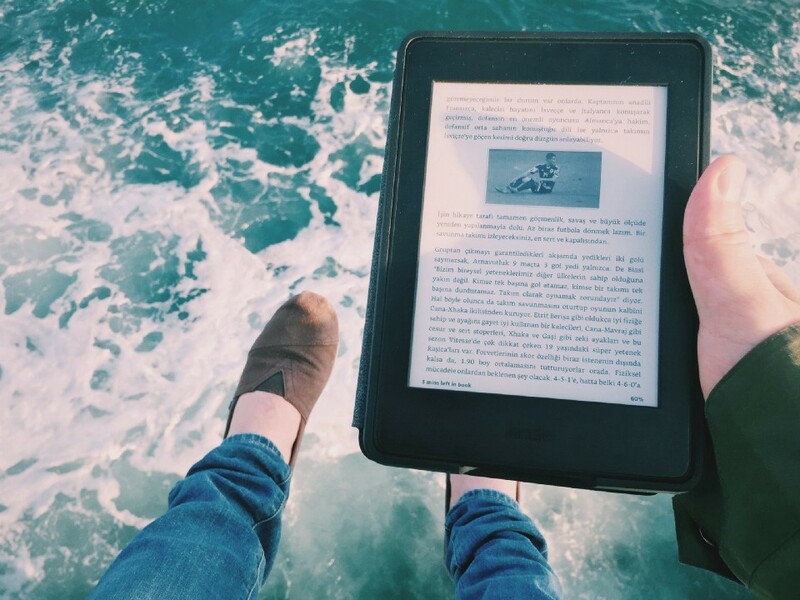 There is a beautiful feature that Kindle do for you. It is building vocabulary. When I discovered this feature, I cried for 12 minutes. I always look up the meaning of some words while reading. (I can do this also offline) After a while, I realized that, my Kindle was adding the words to the Vocabulary Builder and storing automatically. And now, whenever I wish, I can easily look up the list of all my words I have looked up. Also I can highlight and make a note wherever I feel like just by highlighting the text with my finger. I am pretty sure most people do not write out stuff in their paperbacks. But Kindle will allow me to add these exactly where I want them within the book, at a paragraph, sentence or word level. Highlighting saves the passages in “My Clippings”, along with the book title, and exact location of the words selected. I also can easily access my highlights and notes on Amazon’s Kindle highlights and notes page. When I visit this page, I can see the list of all books I have made highlights and notes. After tapping a single title, I can see all my notes and highlights from this publication, together with the highlight colors attached to each marked passage of text. Note: If you want to do a lot of things with your highlights you can also use this website. For Kindle, the files have to be in MOBI format or PDF. MOBI is the best for Kindle. Note: Please do not go with PDF file. You can still use PDF, but it will not look perfect. My suggestion is converting all .epub or .pdf files into .mobi format. But how? There is a magical tool for converting files into .mobi. It is Calibre e-book management software and it is totally free. This Calibre tool is a must if you have a Kindle. And Calibre can do everything you need. For instance, sometimes you may need to buy the book you want to read on Google. Google’s book are in .epub format. So you have to convert it into the .mobi format. But how? If you try to convert directly with Calibre, you will see that Google is protecting the books and you will encounter with DRM issue. Calibre has a solution for this. If you follow the instructions on this page, you will be happy at the end of the day. In this part, I can share some bad things about my Kindle. Kindle is not ideal for oddly-formatted books. It is best for novels and regular non-fiction books. However, if I want to read mathematics books, Kindle is not a good option for me. Mathematical signs often broken up in strange ways. Some charts and tables are impossible to read. And, of course, you can not see color illustrations in color. If you don’t have a Wi-Fi connection, you can transfer Kindle books, magazines, and newspapers, documents from a computer to your Kindle e-reader via USB. If you want, you can watch this video about transferring files. I like to save my favorite pages out of a book to share with my friends. I can easily save what I see on my Kindle screen by taking a shot of it. All I need to do is just tapping two opposite corners of the screen and my Kindle takes a screenshot of the page. Then after I connect my Kindle to my computer, I can easily see the image in the root folder. For me, the best feature of my Kindle is “collections.” It help me to organize my books in any way I see fit. It lets me group all my books together by novels, short articles, notes, magazines or however else I like. It is really really helpful, especially when I have a lot of e-books or documents to find them in a minute. Unfortunately, most of the people don’t realize that Kindle comes with tons of foreign language dictionaries. Sometimes you may need to find your dictionary on your “Cloud” section of your Kindle or you have an option to download some free online dictionaries. WordNet 3 Easy & Infused has a lot of Kindle dictionaries support. Tap the active dictionary to change to a different dictionary. Change the default dictionary by tapping the radio button on the right. Math Teacher. Mathematics. Soccer player. That’s why it is Maradona not Madonna. I had a mustache like a comrade when I was 2.